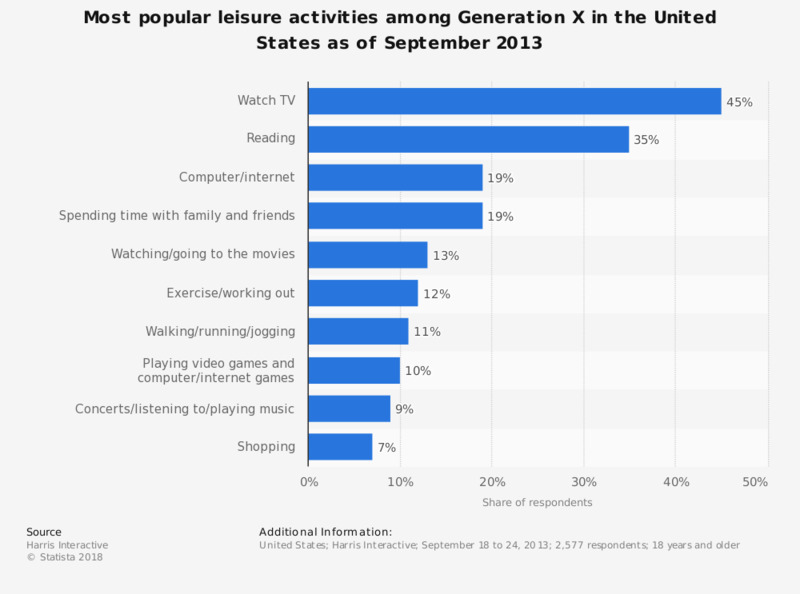 This statistic shows the most popular leisure activities among Generation X in the United States as of September 2013. During the survey, 19 percent of respondents from Generation X stated spending time with family and friends as a favorite leisure activity. Respondents selected up to three answers.